Hey there! I’m popping in to share a fun, super easy to enter, giveaway for some Paypal cash from Ms. Natalie of A Tiny Traveler! Who doesn’t love some Paypal money? So much of our shopping these days is done online and just about every site offers good ole’ PP as a way to pay. From deal sites, to Etsy, to big retailers, this stuff is good pretty much everywhere! So with out further ado, get your giveaway on and be sure to check out A Tiny Traveler too! Happy Friday, lovelies! It’s been a long time since I’ve participated in a giveaway and I can think of no better way to celebrate Friday then with my girls fromPretty Providence. 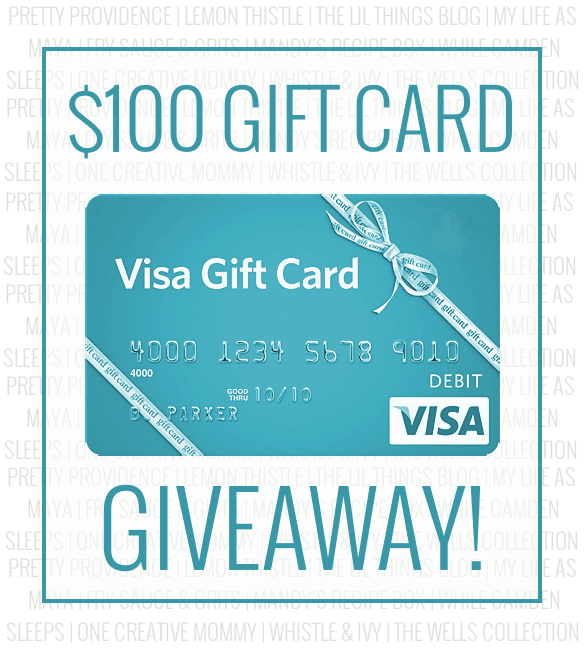 Along with Sarah and Jessica, us gals on their contributor team have come together to offer a fabulous $100 VISA gift card for your giveaway entering pleasure. This means you can use it ANYWHERE! Those boots you’ve ogling, a pretty new planner, Starbucks for days?! The possibilities are endless! Good luck and don’t forget to visit a few of these wonderful ladies’ blogs. You’ll be glad you did! Sunday Inspiration // What If You Fly? I’m so thrilled to be apart of this great giveaway from Alexa of He & I! 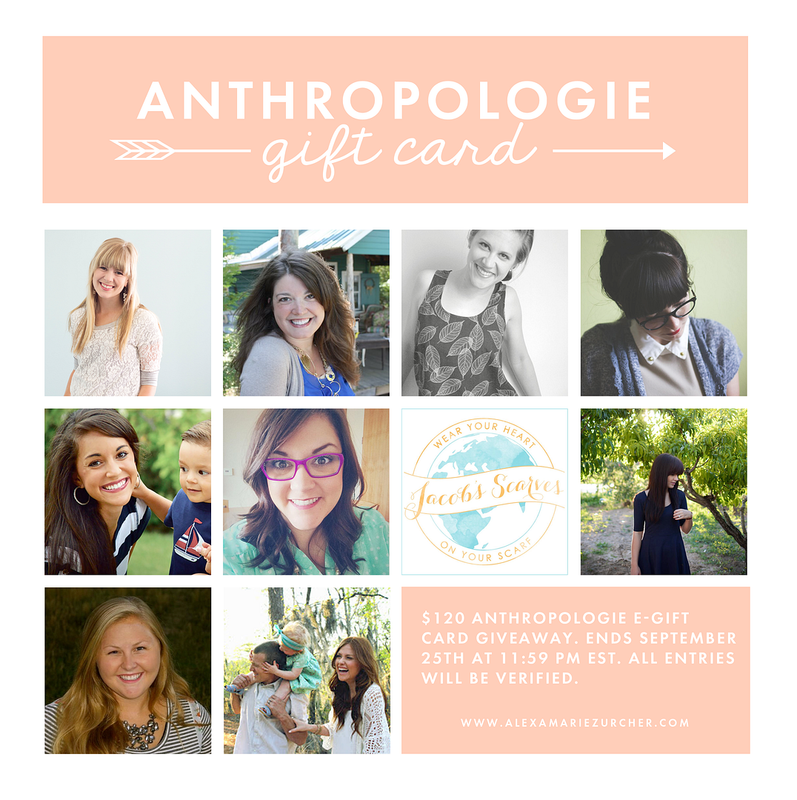 These darling ladies and I have teamed up to offer you a chance to win a $120 gift card to Anthropologie. You can use the Rafflecopter below to enter. The giveaway will run from 12:00 am EST on September 18th until 11:59 pm EST on September 25th. All entries will be verified. If I came up to today and said, “Hey! Do you want to win $100?” you’d probably say, “Nah…I’m good thanks.” Right? Of course not! So here’s your chance! Today I am saying,”Hey! Wanna win $100 dollars?” and you’re saying, “Heck yeah!”. 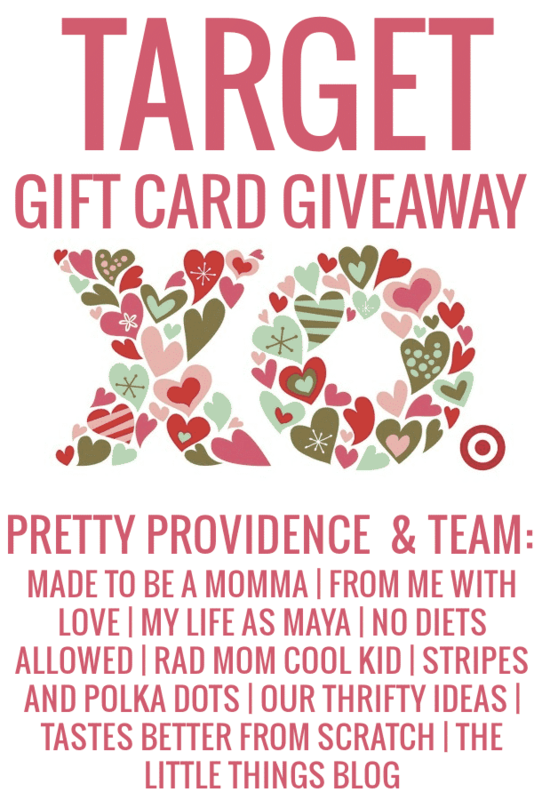 I’ve joined forces with my fellow teammates and our gracious hosts over at Pretty Providence for a wonderful giveaway just for Y-O-U. Be sure, after you do all that entering business, to check out these awesome ladies! They’re inspiring and just plain fab…GOOD LUCK! 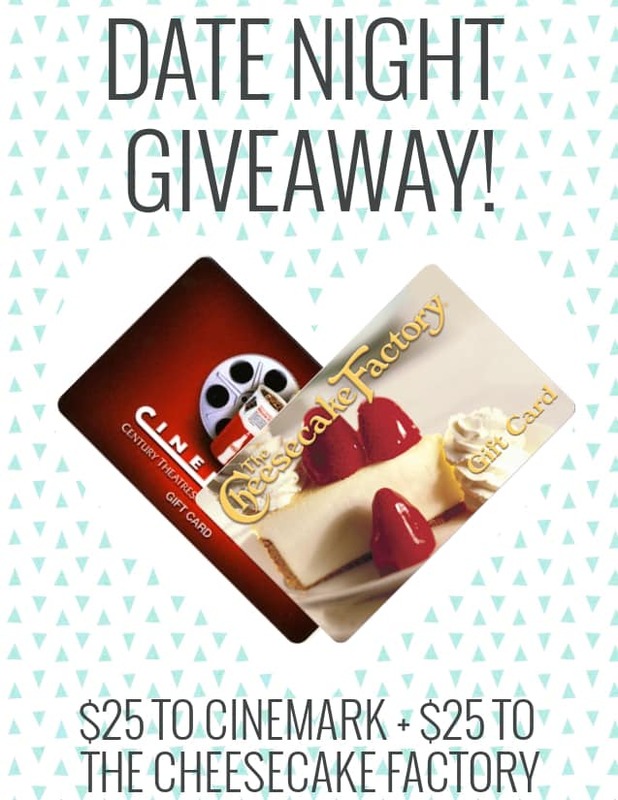 This is really just an excuse to remind you about the awesome Date Night Giveaway I posted about last Thursday! It ends tomorrow and if you currently follow me, that’s a entry you could already have! It’s that easy! 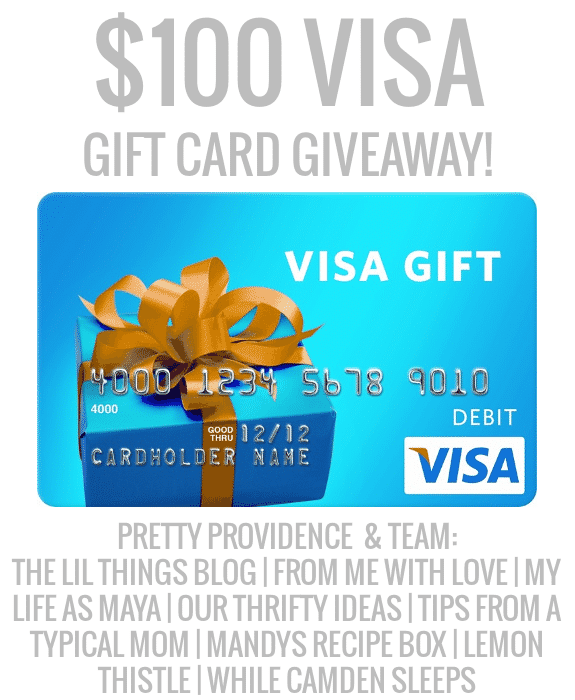 Today I’m so excited to share with you another fun giveaway from my girls from Pretty Providence. It’s their birthday week and us contributors have teamed up with them again to bring you some gift card goodness! Check it out! 31 Days to an Organized Home: Outta Here! Hey there all my fabulous readers!! Today I’m sharing with you something super special! I am a monthly contributor for the fabulous ladies from Pretty Providence and this month, they decided to do a giveaway with all of us. What did we all go in on? A TARGET GIFTCARD! I mean, what else could be better? So take a minute, get your giveaway on, and visit these other fabulous ladies! 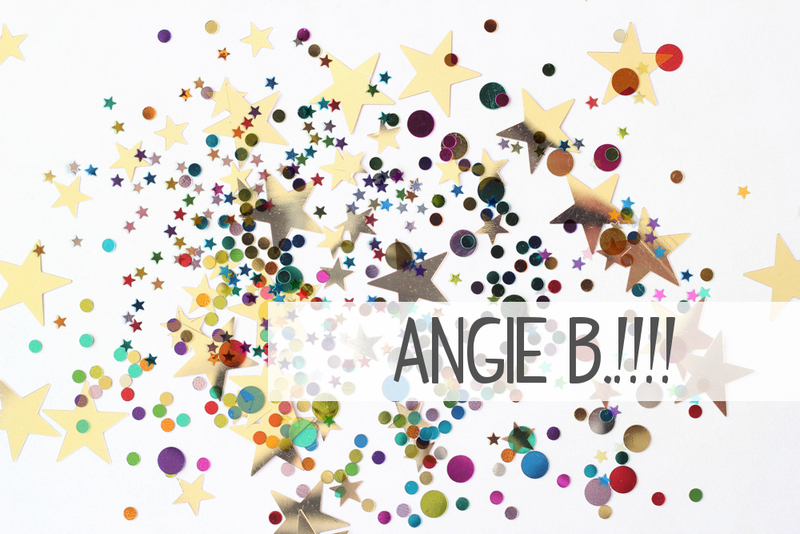 Congrats to Angie and thank you to everyone who entered! !